Samsung’s great at displays, Samsung’s great at hardware, Samsung’s great at storage. Why hasn’t Samsung made a gaming laptop yet? Among a sea of Samsung Chromebooks and Laptops, Mitul Lad has envisioned a new direction for the Korean company’s hardware team. Gaming. Titled the Escape, the conceptual laptop series is a modest entry into an already saturated category, but Samsung does it with decades of technical expertise to back it. Inspired by the dragonfly, the laptop sports angular elements and accents, with a crossed-out design on the lid as well as the base, and with a diamond-shaped speaker grille right above the keyboard. Samsung’s acquisition of Harman Kardon would probably have a role to play here too, especially since the audio company has made some remarkable drivers for laptops over the years for Toshiba, as well as for Dell under their JBL brand. With an aesthetic that isn’t overtly gamer-ish, the Escape sounds like a great laptop to rely on for work as well as for play. With a screen that should undoubtedly be the best in its category, audio that should absolutely shine, and a nice backlit keyboard that’s just perfect for gaming, the Escape is a laptop that Samsung should start seriously considering taking cues from! With 6 days to go until Black Friday, it’s officially Black Friday Deals Week. To kick things off just right, here are 4 incredible deals on 4 incredible laptops, including MSI gaming laptops, Dell & LG. This Dell laptop has a 15.6-inch screen, 7th Gen intel core i5-7200, 8GB RAM and 256GB SSD + 2TB HDD. Act fast to save almost $300 dollars on it. Buy it here. 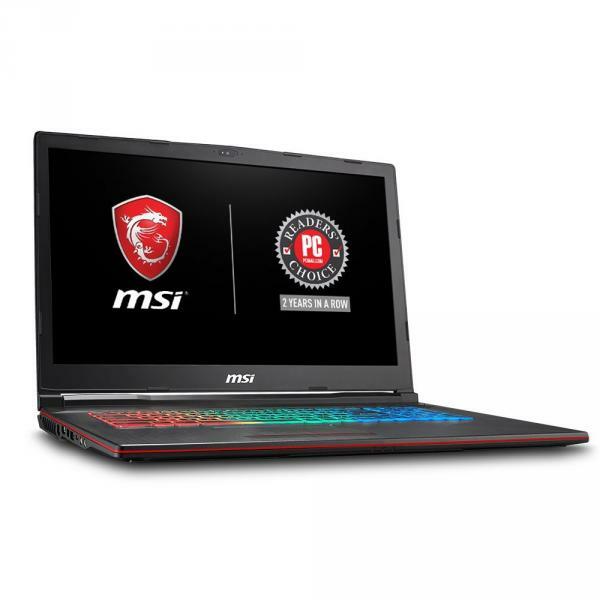 The MSI P65 Creating Gaming Laptop is ultra thin and comes with 32GB RAM, 512GB storage and GTX1070 graphics. You can save $200 on it during Black Friday Deals Week. Get it Here. The LG Gram Light & Thin Laptop is a 15.6-inch device. It has 256GB SSD, 16GB RAM an 8th generation Intel Core i7 Processor. Save $140 on it during Black Friday Deals Week. Buy it Here. Another MSI computer, this time with a 17.3-inch screen, light & lean for comfort. It has a new Intel core i7-8750H. The Graphics card is the Nvidia GeForce GTX1070. It has 16GB of RAM, 56GB M.2 SATA + 1TB (7200RPM). You can get for $200 off at Black Friday Deals Week. Buy it Here. The post 4 Best Laptops to Buy in Black Friday Deals Week appeared first on Walyou. The last thing online gamers would want is to panic about their laptop’s battery running out while they’re at the middle of a game. So you might want to make sure that the laptop you’re getting is a heavy-duty machine that can take care of business.So, off you tinker into specs. But for a busy gamer like you, deep in the game, spending time looking on hardware is not the top priority. But don’t worry, here’s a list of the 8 best gaming laptops that are not only budget-friendly, but come with the quality and durability for extremely long playing sessions. Alienware 13 with its OLED display boasts a very vibrant screen that no other gaming laptop can offer. Despite being one of the smallest VR-ready laptops, you can play the Oculus Rift and HTC Vive headsets. It’s also hailed for supporting buttery-smooth frame rates with its Nvidia GeForce GTX 1060 GPU and Intel Core i7 CPU. Its OLED screen is 13 inches wide, helping provide a fantastic gaming experience. You may also opt to add VR-ready desktop graphics. This gadget’s downside though is that it is not as finely tuned when pitted against higher-end OLED TVs. All in all, the OLED display makes this “limited edition” Alienware 13 a terrific gaming experience from the visual standpoint. The Asus ROG G701VI is a heavy, dynamic laptop that can muster long gaming hours made possible by its overclocked Intel Core i7-6820HK CPU. It has a 64GB-RAM, two 512GB PCIe M.2 SSDs set in RAID 0 configuration and the Nvidia GeForce GTX 1080 GPU with 8GB of VRAM. Gamers are given the visual treat with the 1080p, 120Hz Nvidia G-Sync display and 178-degree viewing angles that will entice you to play your favorite games wherever you are. This Origin PC laptop is powered by desktop parts that include an overclocked processor and the likes of a desktop graphics card for VR systems such as Oculus Rift. The generic body, though, is the downside. It’s clunky and looks ordinary considering the cost of this laptop. If you get the VR configured be prepared for some extra expenses. The keyboard, touchpad and display are so-so. While the Origin PC Eon17-SLX is a bit pricy expensive and bare, it is praised for being one of the very few gaming laptops that contains components dedicated for VR hardware like the Oculus Rift. The moment you get a glance of HP Omen, you’d immediately want to buy it because of its attractive, bold design. User customization options are also available, and the gaming experience is enhanced with its great keyboard. It also has a touchscreen, one thing that too many gaming laptops don’t have. Its biggest disadvantage is having a mediocre graphics card. But all in all, HP’s unique-looking, very portable, great performing laptop makes it a gamer’s favorite. Seldom you’ll see a 15-inch gaming laptop, which makes the top-end Acer Predator 15 stand out. Because gaming laptops are usually used for long hours, this one is made with extra cooling facilities to keep the parts running. Battery life is also excellent. Aside from its OK’ish looks, everything else in this laptop is great. It’s actually one of the fastest gaming laptops and with its extra cooling, you don’t have to worry that hours of gaming would overheat this gadget. Gamers agree that Gigabyte Aero 14 is great in performance at a value for money. With its 7th-generation Intel Core i7 processor, Nvidia Pascal-series GPU and a screen resolution that exceeds the usual 1080p, the Gigabyte Aero 14 is packed with what every gamer is looking for at a more affordable price. Portability and performance matters most for gamers and this laptop delivers. It only weighs a little over 4 pounds and is just 0.78 inches thin but it can do heavy duty performance. It’s battery life is also worth praising (3 hours and 38 minutes nonstop). 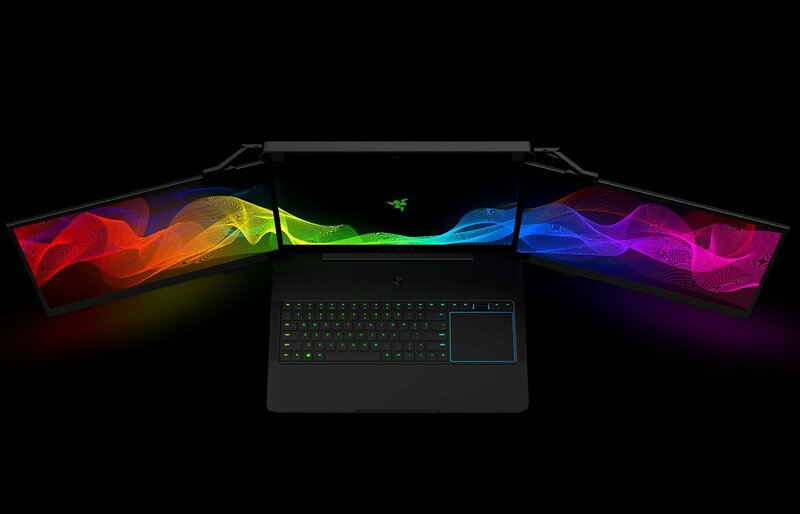 Razer Blade’s battery life is one of the top reasons why gamers prefer this laptop. You can play on it for 3 hours and 35 minutes and its battery life could extend for up to six hours of non-stop video. The graphics are also great and with its Razer Core external GPU enclosure, loading the Nvidia Titan X comes without hassle. Aorus is not as famous as other gaming laptop models, but wait til you try Aorus X5 v6; you’ll forget about other brands. It’s actually praised for being a durable gaming laptop, with a simple design giving it an attractive, sleek look. It comes in an all-black finish with a GTX 1070 powerhouse. Connect it to a 144Hz external monitor and you can enjoy Overwatch at up to 120 fps on Ultra. If its internal capacity isn’t enough for you, surely its 15-inch, 3K resolution display would suffice. So, who wants a subdued design when you can have powerhouse performer? Normally, when I have to work on a laptop, I am much slower than when I’m at home because I use a big old 30-inch screen that lets me get like four windows open at once without having to switch back and forth. On a laptop you can’t do that as easily, or at least that’s what I tell the boss is the reason I don’t get as much done. The Razer Project Valerie laptop will ruin that excuse though. This insane laptop has got three 4K resolution screens and a honking NVIDIA GTX 1080 GPU to run the show. Those screens are quite thin, and have aluminum hinges that fold away giving the Valerie about the same profile as your typical 17-inch gaming notebook. You can span your game (by game I mean work) across all three screens in 11520 x 2160 resolution, or use each of the three displays individually. I kind of want one of these, but I am afraid to learn what it will cost. No word on pricing yet, but with three 17-inch 4K screens and a powerful graphics card like that, it’s sure to destroy your wallet. If HP is putting its money on Star Wars movies when designing gaming laptops, MSI prefers to stick to actual games, and the three newly launched Heroes of the Storm gaming laptops are proof of that. It didn’t take long for the Heroes of the Storm video game, one of Blizzard Entertainment’s most recent creations, to get a considerable following. While the game itself doesn’t any any spectacular system requirements, that didn’t stop Taiwanese computer manufacturer MSI from releasing not one, but three incredibly-specced gaming laptops themed after Blizzard’s game. All three of them were unveiled at Singapore’s GamesStart convention. 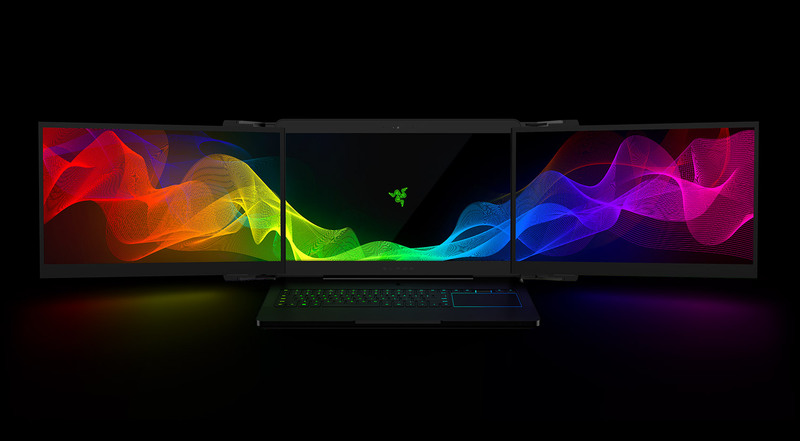 I should start by saying that all three configurations are based on Intel processors and nVidia GPUs, so if you’re thinking that only AMD is capable of making the best CPUs or GPUs on the market, then maybe you should look for a different gaming notebook. First of all, there is a skinned version of the GE62 Apache, a 15.6-inch gaming notebook powered by an Intel i7 6700HQ CPU and an NVIDIA GTX 960m, along with 8GB of RAM. This may be MSI’s entry level Heroes of the Storm gaming laptop, but it still costs $1,610, so it’s not exactly for gamers on a tight budget. Next, there’s the MSI GT72 Dominator, which is an even more powerful beast. This one sports an Intel i7 6820HK CPU, along with a GTX980m GPU, 16GB of RAM, a 256GB SSD, and a 1TB combo drive. Unlike the GE62, which only has a wraparound skin of the game, the GT72 also features a laser engraved mural of the game on the back. As expected, this is also very expensive (maybe unjustifiably so? ), and gamers wanting it will have to fork $3,230. Not at last, there is the most futuristic-looking and future-proof laptop in MSI’s portfolio, the GT80. This flagship doesn’t only take the IPS display of the previous models to a whole different level, with its 18.4-inch screen, but it also packs a mechanical keyboard (which, if I’m not mistaken, is a feature available exclusively on this laptop), as well as two NVIDIA GTX 980m GPUs. It may be based on the same CPU as the GT72, but it includes 32GB of DDR4 RAM, and an even larger laser cut engraving on the back. MSI didn’t forget about decorating the inside of this laptop, so it placed a special skin just above the mechanical keyboard. 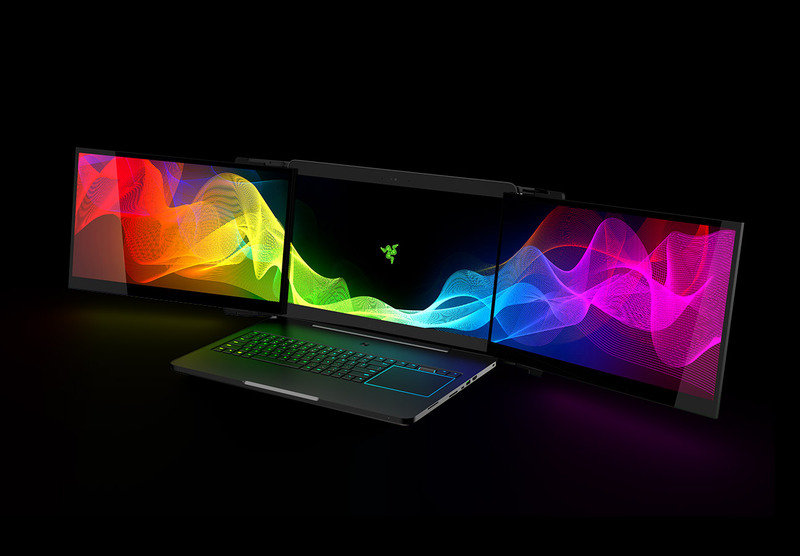 Now, claiming that any of these laptops would be complete overkill for the Heroes of the Storm video game would be a major understatement (yes, even the GE62 can run it at maxed out settings), but that’s not the point. Blizzard has other, more demanding games in its portfolio, and Heroes of the Storm can still be enjoyed on the side. If you still haven’t played the Heroes of the Storm game, head over to Amazon and buy it. This might prove the best $15 you’ll ever spend on a game, considering it features characters from Diablo, Starcraft, and Warcraft. Be social! Follow Walyou on Facebook and Twitter, and read more related stories about the MSI GS30 gaming dock, or the Alienware Graphics Amplifier. Considering how much better desktop graphics cards are compared to their mobile counterparts, gaming notebook manufacturers are now focusing on creating GPU enclosures that deliver desktop performance on a mobile platform. Just launched at CES, the MSI GS30 is a 13″ FHD gaming notebook, but judging a mobile device by its size is not relevant anymore, these days. Whereas a few years ago gamers thought that the bigger the laptop display, the better they can play, nowadays a 13 or 14-inch gaming notebook is more than they need. MSI’s latest is already a very capable device in its own right, packing an integrated Iris Pro 5200 graphics processor, a Core i7-4870HQ CPU, 16GB DDR3 RAM clocked at 1600Mhz, and a pair of 128GB SSDs in RAID 0 configuration. The gaming dock that’s bundled with it only makes it better. The GPU enclosure made by MSI can host graphics cards of up to 14.3″ in length, so you’re covered for almost every model on the planet, except for the water-cooled ones. On top of that, the MSI Gaming Dock has room for a 3.5″ storage drive and a speaker to which the notebook’s audio can be routed to. So what does the Gaming Dock have that Alienware’s Graphics Amplifier doesn’t? Well, besides the storage and the audio part, there’s the bandwidth. MSI claims that the Graphics Amplifier limits bandwidth to PCI-e 4x speed, whereas with their device, gamers can get the full performance of PCI-e 16x. As it happens most of the time, amazing gaming accessories (if you could name the Gaming Dock that) are rarely affordable. The bundle consisting of the MSI GS30 gaming notebook and the Gaming Dock will cost north of $1,700, depending on the configuration. Bear in mind that for that money you get an empty GPU enclosure, which you will have to populate with a modern graphics card that’s worthy of being GS30′s companion. That means that you’ll have to spend extra for the GPU (and HDD, in case you want do expand the storage capacity of your laptop), but to be frank, anyone who can afford this $1,700 bundle will most likely also have the dough for a GTX980 or the like. I’m looking forward to seeing more such GPU enclosures from other manufacturers, as well, and I have a feeling that ASUS’ Republic of Gamers line will include one in the near future. Be social! Follow Walyou on Facebook and Twitter, and read more related stories about the Alienware Graphics Amplifier, or the mean-looking Alienware Area 51. Witness the combination of Xboxes past and present in this laptop gaming mod. What’s better than a Xbox One console mod? A Xbox One and a Xbox 360 console mod. Gadget enthusiast Ed Zarick has done just that with his Xbook Duo, a console laptop mod that has built-in capabilities for Microsoft’s current and previous console offerings, which can be played on a collapsible 22? 1080p Vizio LCD monitor. Stylish as it may be, I imagine the Xbook Duo would be a behemoth to lug around. Not surprising when you consider how bulky the Xbox One already is… Then you try to force (precisely, of course!) another console in such a relatively compact space? Well, it would be like trying to fit a walk-in closet’s worth of clothes into a tiny suitcase. Logically, I very much doubt bulk was much of a consideration in the design phase. Getting that slick combo working together was at it’s forefront, and in that case – a laptop case (haha!) – the Duo is fantastic. CD loading trays for both console can be found on the side, and while you can’t operate both at the same time, switching between either is as simple as a press of a button. Be social! Follow Walyou on Facebook and Twitter! And keep it here to read more related stories like, Watchmen’s Roscharch Toaster: You’re Trapped in The Kitchen With It and 7 Ultra-Modern Kitchen Designs. 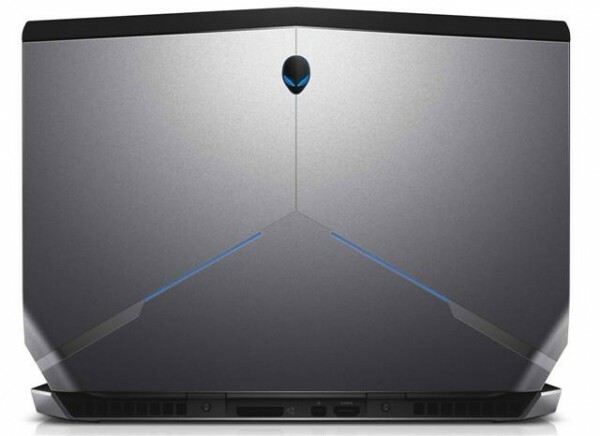 Alienware, Dell’s division of gaming hardware, has announced the launch of a new notebook which is more powerful than the 14″ generation, despite being smaller. At the price point that most Alienware products are sold, it’s clear that this company targets a specific niche audience with its gaming notebooks and desktops: gamers with deep pockets. The premium prices is often justified by components and features we don’t get to see in an everyday laptop. A 13″ display may seem small, but it is in fact ideal when gaming on the go. As per usual, this Alienware notebook comes with an illuminated keyboard that turns gaming nights into great experiences. Combined with the other pieces of hardware and an otherworldly design, every single detail of this laptop reveals how unique it really is. Be social! Follow Walyou on Facebook and Twitter, and read more related stories about the portable laptop case that turns into a desk, and the HP Chromebook 11 that charges over microUSB.